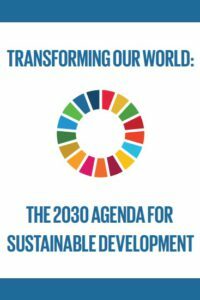 Since 2015, the Granada UNESCO City of Literature Programme has been a member of the organising committee of the Granada Book Fair. 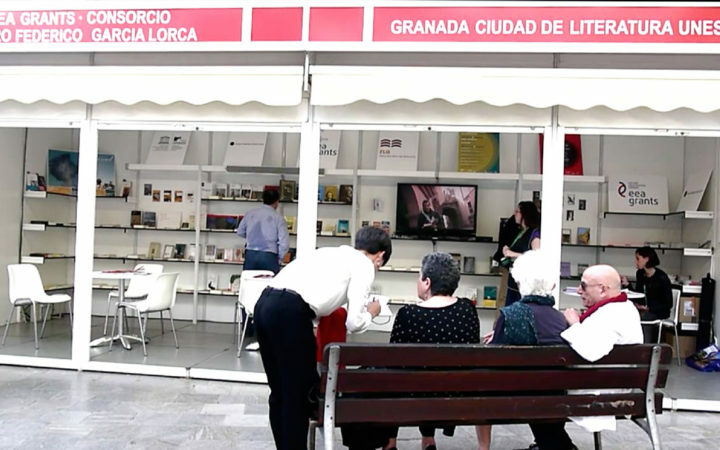 The theme chosen by the committee for the 2015 edition of the fair was precisely “Granada: City of Literature”, to celebrate the city’s recent inclusion by UNESCO in its worldwide network of creative cities. 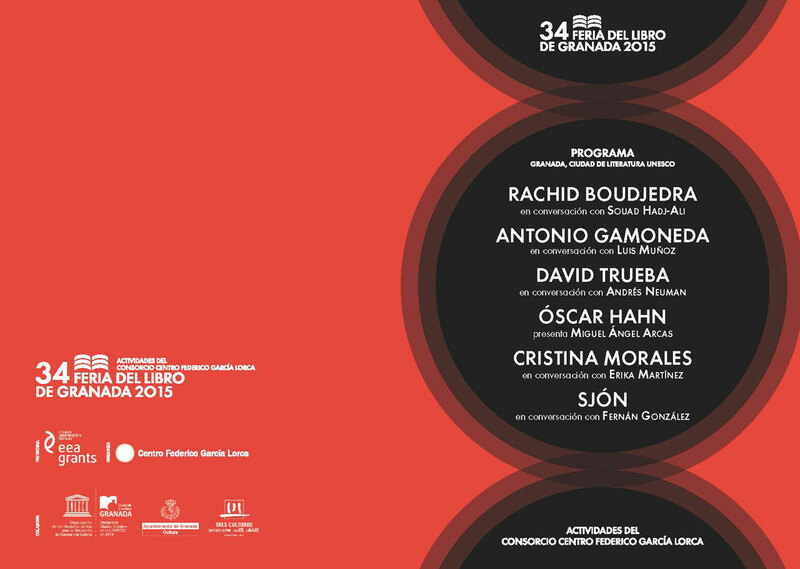 The programme’s logo, which was designed by Juan Vida, was featured in the design for the fair’s poster. Connected to the new Central Space at Puerta Real, the special open stand “EEA Grants/Centro Federico García Lorca Consortium/Granada UNESCO City of Literature” was installed, measuring 10 m long and 4 m, with walls lined with books used as tiles, a TV screen, an illuminated electronic sign, two digital portrait holders and two reading areas (two coffee tables each with four chairs). 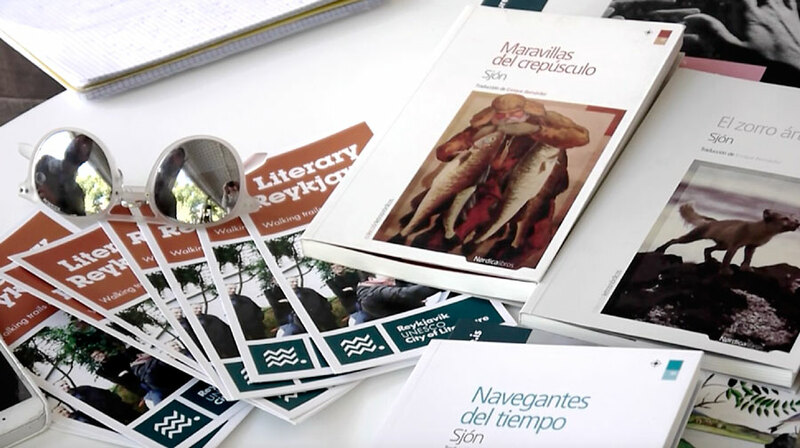 The ten UNESCO Cities of Literature that then made up the network were invited to send in promotional material (books, posters, leaflets and audiovisual items) on their local writers and cultural-management activities. 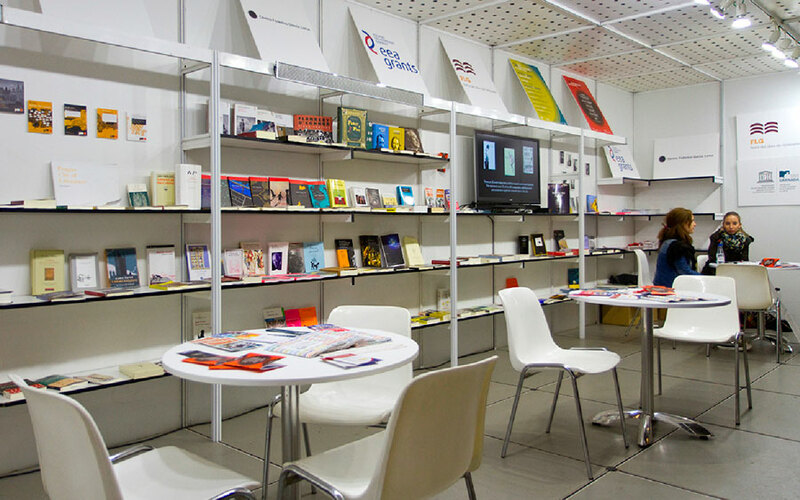 The material received was on display on the stand for the duration of the fair (17–26 April). 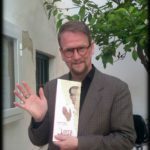 Two hundred books were purchased from the Book Fair Booksellers Association, including works by writers in some way linked to the ten UNESCO Cities of Literature (Melbourne, Edinburgh, Iowa City, Prague, Krakow, Heidelberg, Reykjavik, Norwich, Dublin, Dunedin), works by Lorca and works by authors invited to the programme’s season of Literary Conversations. 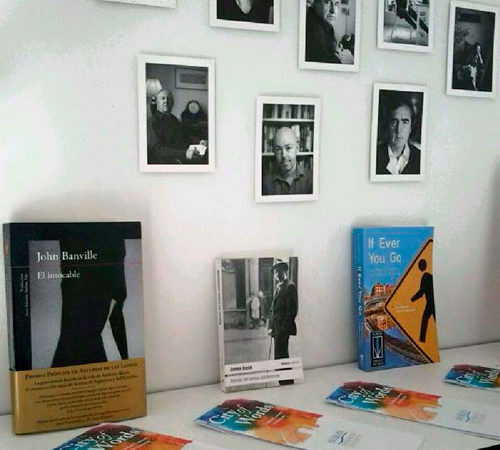 The could be browsed and read freely in the reading areas on the stand during the fair. 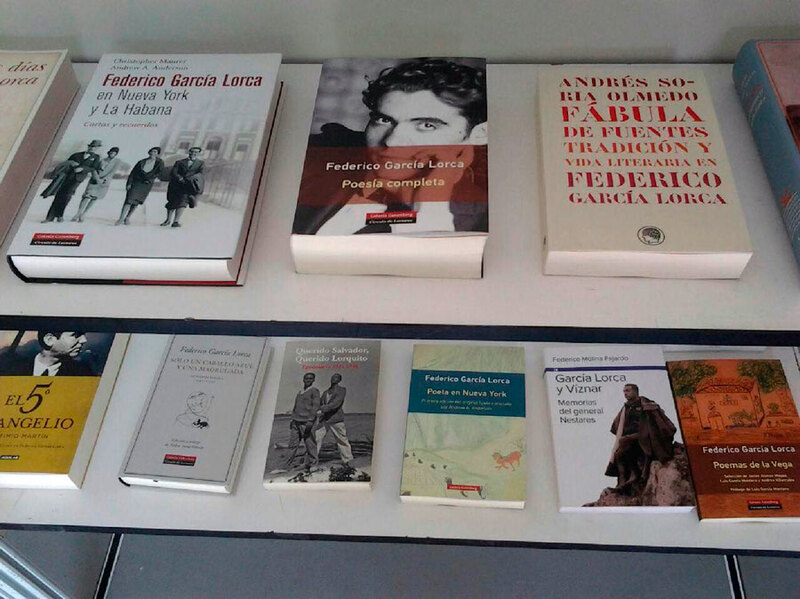 They were then donated to the Centro Federico García Lorca and the city’s network of public libraries. 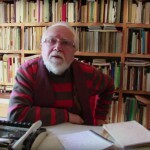 Each municipal library was allocated two Cities of Literature, according to specific activities devised by the reading-encouragement groups at each. 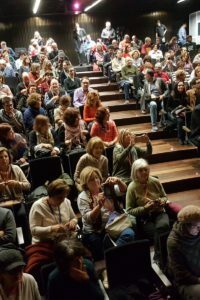 The programme also organised its first season of Literary Conversations, at which the leading names taking part included Rachid Boudjedra (Algeria), Sjón (Iceland), Óscar Hahn (Chile) and the Spanish writers David Trueba, Andrés Neuman and Cristina Morales.